Created in 2006 to foster and advance the importance of events in the marketing plans of large and smaller corporations, the BEA World 2018 – The International Festival of Events and Live Communication, an initiative that recognizes and promotes excellence in events and live communication across (formerly known as EuBea – European Best Event Awards) have helped participating agencies from 29 countries in finding inspiration and new ideas for their events, and is now acknowledged as the main and most challenging international industry recognition. As in previous years, shortlisted agencies contesting for the renowned golden elephant awards will have the opportunity to present their projects live to the Jury and Bea World Festival delegates. Bea World this year will take place in Portugal, precisely in Coimbra, from 21st to 24th of November 2018. It is open to companies from the event and communication industry based anywhere across the world, including event agencies, public relations, communications, promotions, advertising and web agencies, corporations, public bodies, associations, non-governmental and non-profit organizations, locations, etc. Can’t you join the event in Coimbra? No problem: download “Bea World 2018″ official mobile app, powered by Digivents, and connect to the worldwide event community! Thanks to the app – , a brand new one compared to the previous ones (in fact, Digivents has been technical sponsors of the EuBEA in the last years) – you will be able to vote for your favourite event, see and comments the events in competition, interact with the speakers, network with other delegates, sign up for a hands-on lab or a leisure activity, and take part in the Elephant Run to win two Delegate Passes for Bea World 2019! Don’t miss the unique opportunity to follow the live presentations of the shortlisted events and the educational programme. For creative agencies and companies, Bea World Festival 2018 – Where Creativity Meets Business is a once-in-a-year opportunity to see the world’s best-in-class events, compare their works to the competitors’ ones, and learn all they need from leading experts – for a future success. This is going to be possible also thanks to Digivents that, this year, from Europe goes to all around the world, along with BEA World. 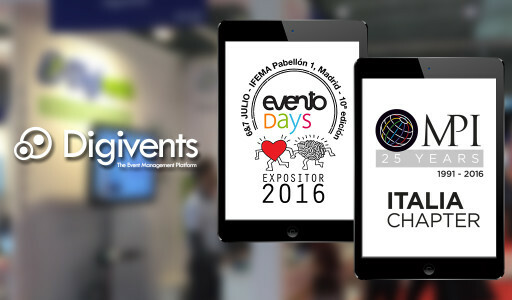 Inspiration, networking and professionalization: these are the three main focuses of “Evento Days”, a kermesse by the Grupo Eventoplus (the main medium in Spain dedicated to the event field), which has become, through the years, a landmark date in its sector. Already gone through its 12th edition, the annual meeting dedicated to the events sector will occur in Madrid (at the Ifema Pavillon 2), on the 4th and the 5th of July, gathering the main actors of this business field, like: service providers, organizers and buyers, which will share experiences, know-how and will do networking. Common aim is improving the event management expertise. The two-days conference will allow attendees to keep up with the latest trends in the world of the events –thanks also to the numerous meetings dedicated to professionals and an interesting training program taught by the most important experts in the field. Obviously, Digivents will attend this important event, making a star the technology that it provides to the meeting industry, as well as its consultants’ well-recognized know-how. Every moment of an event can be simplified and optimized thanks to this ad hoc application, which is able to provide an in-depth brand experience – of course in line with the brand personality – as well as an undeniable support in the event organization itself. A four-day event, a gala dinner, an award ceremony, more than 3,500 exhibitors from 150 countries, more than 180 educational sessions, 5,200 buyers: these are some numbers of Imex Frankfurt, the most important German exhibition meant for meetings and incentive travels, which will take place in Messe Frankfurt, from the 15th to the 17th of May. The fair is addressed to event specialists, companies, business trips’ organizers and marketing managers, and is filled with several conferences and/or seminars, as well as new ideas pitches. 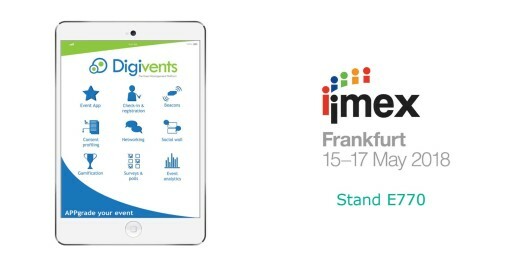 In 2018, like in the past editions, Digivents will attend Imex with its own stand, n° E770: the company will present the latest news in the events’ field, and this will be also an opportunity to meet customers and prospects in order to make business brainstorming. In fact, the goal of the event has always been to offer a successful platform for business meetings and personal networking. Whether you want to keep up with the evolution of the event sector by exploring the latest tech innovations or upgrade your professional skills and relations by getting in touch with your colleagues, Imex is the right solution for you, since it offers numerous networking and training opportunities. Meeting industry professionals, at Imex, will be able to find all the partners they need for their events: main hotels and venues, event service providers, caterers and exhibit builders, agencies and app/tech solutions creators – among which, as already mentioned, there is Digivents. On the other side, exhibitors will have access to fair stands and valuable moments useful in order to create new contacts, to strengthen established relationships and start new business. Furthermore, the event will take advantage of an online system that is supposed to schedule meetings in an easier and faster way. Imex`s meetings and workshops will address numerous topics: for instance, on Monday, May 14th, the agenda is filled with the Iaee-Cem course, together with meetings for company professionals, agencies and associations. Besides, ‘EduMonday’ will be an opportunity to learn all the secrets of the Event Canvas Model, a strategic event management model for customer-centric events. Towards the end of the day, there will be a focus on the role of women in the meeting industry (She Means Business) as well as the one of under-35 professionals (Rising Talent). On May 15th, right after the opening ceremony, the Policy Forum will represent, instead, an opportunity for policy makers and influencers to discuss the growth of the events sector. The ImexRun, a 5 km-long run along the river Main, will lead the agenda of Wednesday 16th May, followed by the Forum of future leaders Imex-Mpi-Mci, and the Faculty Engagement Program. The Gala Dinner and Awards Ceremony will close the entire event, with live music, fabulous food, great networking, and of course the announcement of the Imex awards winners. 3- Be well at Imex (live and experience CSR and sustainability). Nowadays, technology is our best friend: its purpose is to make people’s life easier and allow them to save precious time – as well as money, sometimes. In the field of event managing, technology allows the organizers to customize all the aspects of the events, so that the experience they propose – regardless of the number of guests, size or complexity of the event itself – can be more relevant and tailored upon the needs of every participant. Among the elements that can make the difference, especially if boosted by technology, there is certainly the one related to the registration / accreditation process, which is a fundamental aspect of an event – together with the reception of attendees. 3- save money and time, given that the pre-registration data are already in an electronic format. Moreover, it provides a useful forecast on the number of visitors and their origin. 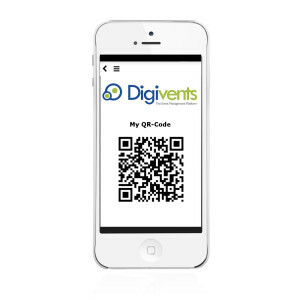 Thanks to the Digivents platform, for instance, you can receive in advance the qr code dedicated to the event, so that you can speed up the check-in and eliminate the queues to the registration desk. 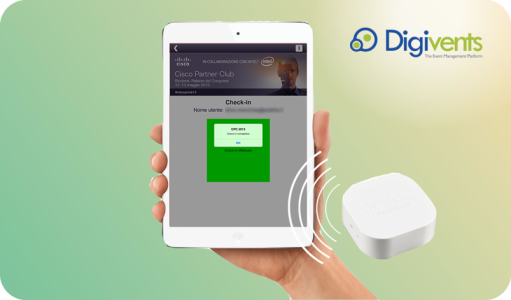 Moreover, the procedure based on the Beacons (Bluetooth accreditation system), will allow attendees to be registered automatically and access the event just being on-site. Furthermore, as far as it concerns the process of printing the attendees’ badges, Digivents allows to integrate ad-hoc printers in the check-in process, so that badges are printed directly during the check-in. Flavio Ventre, Digivents’ founder, says: “Managing the registration process in a simple and effective way (let us think to the the attendees’ lists or to tailored email templates, to the registration forms or the management of accreditation through qr code and Beacons), represents one of the objectives of the companies that organize events. Thanks to customized apps, all these activities are just a click away “. Once having registered, therefore, the attendees’ will enjoy an easier check-in process, as well as a check-out process (for instance, the check-out is very common in the ECM courses or the compulsory training for lawyers and journalists). This is possible thanks to a simple and fast authentication procedure, both for multiple sessions (multiple check-in sessions to account for access to workshops, reserved areas or sponsor stands) and for managing registrations to activities with limited numbers of participants: the process will ensure a reduction of stress for organizers and of course the possibility of error. As Dr. Chiara B., child neuropsychiatrist, declares: “For medical doctors, professional updating is crucial, as well as time: when I attend a compulsory ECM training event, the contents and themes that will be covered are fundamental. An app that allows me to obtain information about the speakers of the conference and to receive extracts of the contents presented would be very useful. I have often to attend conferences between a visit to the hospital and a visit in the studio … I can pre-register for an event and check-in and check-out in very fastly now, thanks to Qr Code and Beacons – which are a real plus to me “. New Technologies are the core of the Spanish congress sector’s events. Digitvents’ innovation is among the protagonists of the 30th OPC congress. Neuroscience applied to the events organization, security in conferences, evolution of new technologies, compliance with the funds management and, moreover, the latest innovations, challenges, criticalities and opportunities of the events’ market: these are going to be some of the topics covered bv the 30th edition of the ‘Congreso Nacional de Empresas Organizadoras Profesionales de Congresos’ (National Congress of the Professional Congresses’ organizers, http: //congreso2018.opcsp ), to be held in Spain, in Alcalá de Henares, from 15 to 16 February 2018, and organized by Opc Spain (http://opcspain.org/) in collaboration with the agency Aim Group. The event is going to be a cross-sector and multi-sectorial meeting, with the participation of over 400 professionals who will attend it in order to update their expertise and share their perspectives in the field of congresses, meetings and events. 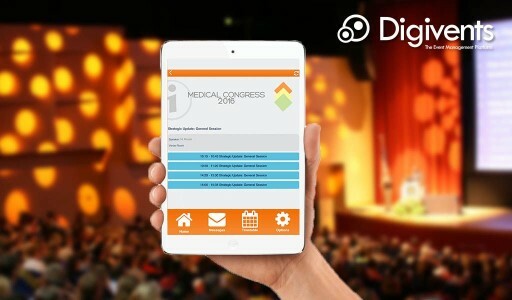 Among the protagonists and sponsors of the congress there is also Digivents, which in this occasion provided the participants of the ‘Congreso Opc 2018′ with a useful App dedicated to the event. The App – that can be downloaded from the app stores – has the objectives of optimizing the communication during the event, as well as the interaction and the engagement of the attendees, while giving a logistic support to the organizers. In fact, the app offers many interactive features: among these, the opportunity to make live questions during the speeches and the optimization of networking (via chat, exchange of digital business cards, etc …). In addition, the events participants will be given the opportunity to read the articulated agenda of the three-days event, where high-status professionals will talk about topics of great relevance: humanization of the digital world to the new trends between innovation and tradition, neuroscience applied to events, choice of the right locations for international conferences and organization of meetings in the Spanish cities that UNESCO heritage of humanity. In addition to the details about schedule, speakers and content, it will be possible to be informed about cocktails and dinners and about tours for discovering the city, which has been elected World Heritage by UNESCO in 1998. 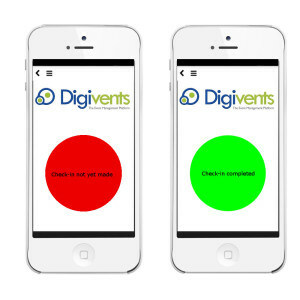 Finally, Digivents has offered the very useful opportunity to get to know the guests’ opinions by asking their feedback through special surveys. Help Desk, Polls, Real-time Chat: the Digivents BEAWorld 2017 app is even smarter! 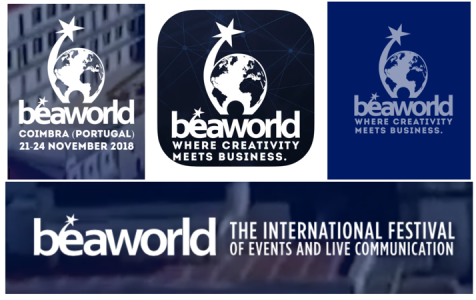 From November 15 to 18, the main players of the event industry around the world will meet in Porto (Portugal) for BEAWorld 2017, the international events and communication festival. The open-enrollment activities during the events (workshops, leisure activities, 101 meetings etc.) are considered among the most important tools in the repertoire of the event manager. They frequently turn out to be the main experiences that the attendees associate to the event, and that they tend to remember in the long run. With a bit of creativity and attention to detail they can become the most popular and effective tool of your project. The Beacon system in event management: opportunities, hints and a practical application! One of the main sources of irritation when attending an event can be the entree waiting lines (occasionally quite long) before performing the check-in to the venue: in case of an exceptionally large event, the delay can exceed one hour! For the EURO 2016 football tournament, Digivents steps up its game with the challenge between Italy and Spain! 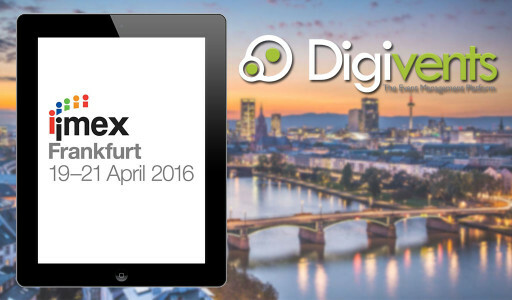 The Digivents team at IMEX Frankfurt! Come find us at IMEX 2016 in Frankfurt, one of the world’s most prominent fairs in the MICE and Incentive industries! 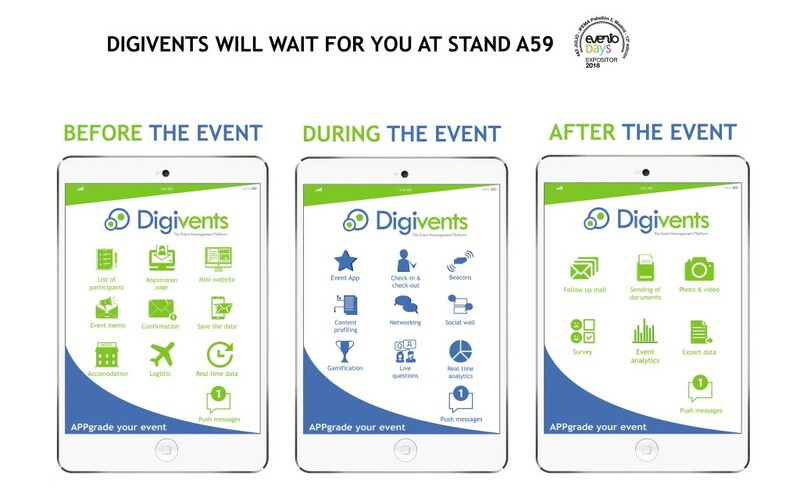 Digivents will be there, from April 19 through 21, to update you on the latest trends on mobile apps for your events.